Gravitybox is the most popular, and most essential Xposed Framework module. It houses an enormous array of tweaks that give you almost complete control over how you can customise your phone. Its options range from minor visual flourishes to full-on usability enhancements of the kind that used to be only available if you flashed a custom ROM. With Gravitybox virtually all of the options work on any ROM, including stock ROMs. When you first load up Gravitybox its sheer number of options can seem overwhelming. So where should you get started? Here’s our pick of the ten most useful Gravitybox tweaks. Before you begin check out our guide to installing the Xposed Framework and modules. You can now install Gravitybox. You should also be aware that if you have or are planning to upgrade to Android Lollipop then Xposed is not currently compatible with the new OS. Many of the tweaks listed here will be activated instantly. In some cases you may need to reboot your phone to activate them. If you make a lot of tweaks in Gravitybox a reboot is recommended. If you don’t use a password or pattern lock to lock your phone, then you can make significant enhancements to your device’s lockscreen. Found in the Lockscreen tweaks section are three options that work well together. The first is Unlock ring targets, which enables you to add up to seven app shortcuts to your lockscreen. Simply slide the unlock ring onto one of the shortcuts and the phone will unlock and launch the app in one motion. Below this is Show battery arc, a nice aesthetic touch that integrates a battery indicator into the border of the unlock ring. And finally, there’s Enable torch. When long-pressing the unlock ring, the torch—using the LED flash on the rear of your device—toggles on and off. Now, if you do use some kind of password protection to lock your device there are fewer tweaks you can make to the lockscreen. But one of the most useful—and one of our absolute favourite Gravitybox tweaks—is the Statusbar lock policy. 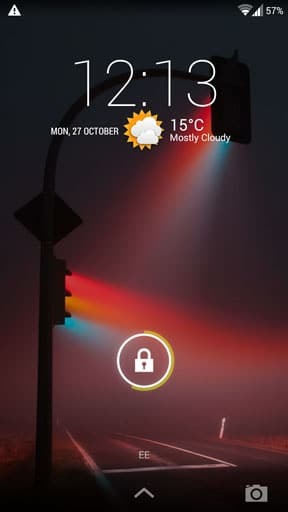 Also found under Lockscreen tweaks, this enables you to pull down the notification pane even when the device is locked. It’s an easy way of being able to view your notifications without needing to unlock your phone every time. It’s secure, too, as tapping on a notification will require you to enter your password before opening the app the notifcation is associated with. 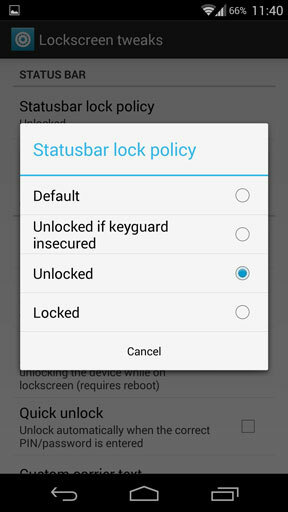 To use this feature select Unlocked from the Statusbar lock policy options. 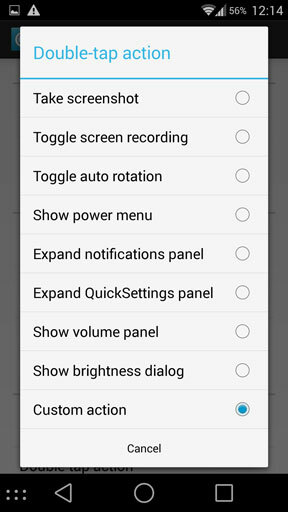 The Quick Settings panel is a useful screen of shortcuts to commonly used features within the Android OS. You find it by opening the notification pane and tapping the icon in the top right corner. You can also open it directly by swiping down with two fingers. In Statusbar tweaks > QuickSettings management > Statusbar QuickSettings tiles you can add extra items to the panel, or remove those that you don’t want. Go to Tile reordering to position them in the order that you want. Some apps will place a persistent notification icon in the notifications pane. Sometimes this is to ensure the OS keeps the app running in the background, and other times it seems to do little more than to alert you that the app is running. Either way it can be annoying. But you can get rid of it in the Statusbar tweaks section. Go to Ongoing notification blocker and tick the box next to the app showing the notification. It should now be hidden. Our number one tweak in Gravitybox is found in Media tweaks. Tapping Volume keys skip track turns the volume buttons into media controls. When the screen is off and there’s a music app running, a long press on the volume up key will skip to the next track. Long pressing on volume down restarts the current track or skips back to the previous one. It’s a very useful way of controlling your music without needing to take the phone out of your pocket. Best of all, it also works on headphones with built-in volume controls. Some Android widgets are resizable, but not all are. 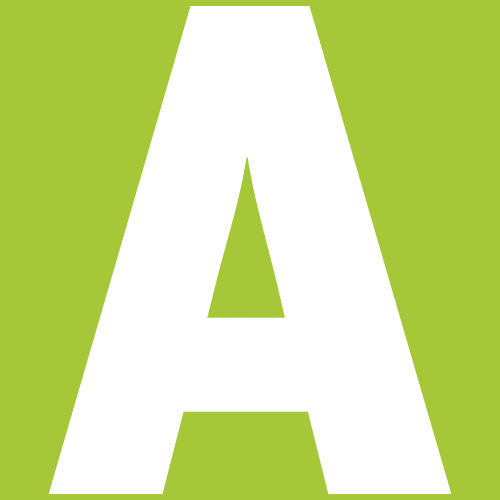 Some launchers enable you to resize any widget, but stock launchers tend not to. By going to Launcher tweaks and ticking the Resize any widget box and restarting you’ll be able to make widgets bigger or smaller as you see fit. The Navigation keys actions settings addresses the functionality of both virtual keys and hardware keys, enabling to reassign or add extra functions to them. Depending on the key in question you can assign two functions based on a combination of either single tap, double tap, or long press. Assigning a commonly used function or app to a double tap of the home button is surprisingly useful. 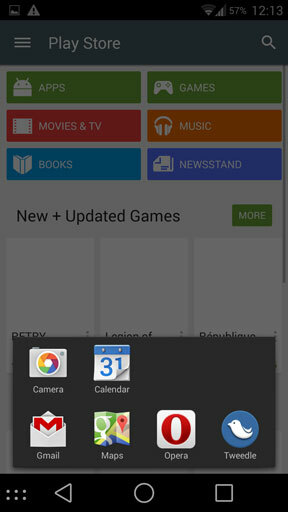 The Application launcher option is one of the most powerful settings in Gravitybox. 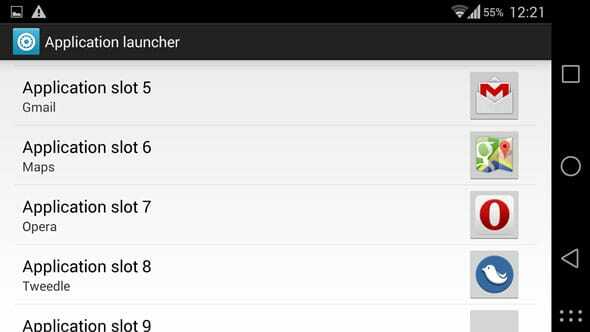 You can use this to add an launcher to the navigation bar on your device. First you need to turn it on. Go to Navigation bar tweaks and turn Master switch to On. Next, scroll down to Custom key settings, tap Enable custom key, and under Single-tap action ensure Show application launcher is selected. Now reboot to activate the custom key. When rebooted go to the Application launcher option from the main screen in Gravitybox. You can now assign up to 12 app shortcuts to the new button that will have appeared in your navigation bar. 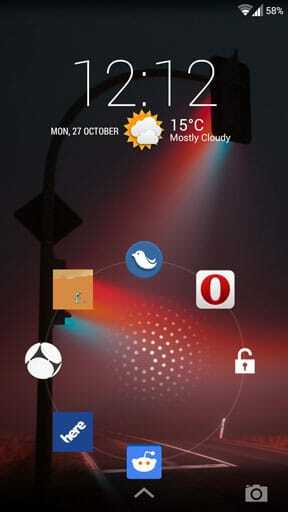 Tapping the button toggles to launcher on or off, and gives you instant access to your favourite apps. Another of the more powerful options is Ultimate notification control. This is only available in the donate version of the app, and enables you to customise the notifications—both sound and LED—for every app on your device. Go to Per-app settings and pick an app. 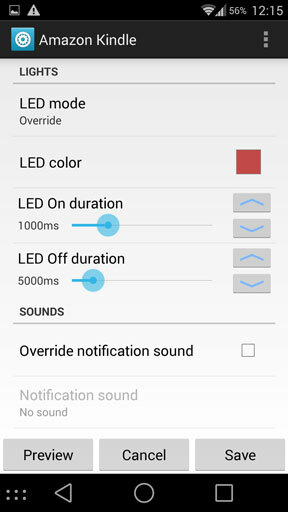 You can now choose an LED colour (where supported), flashing duration, notification sound and vibration configuration. We wouldn’t recommend doing this for every app yo’ve got on your phone, but it’s a very effective way of ensuring that notifications from your most important apps stand out from the rest. And finally, also in Ultimate notification control is the much missed Quiet hours feature. This is something that should be standard in the OS. 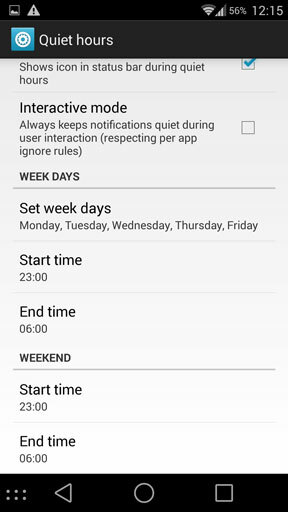 It allows you to set periods during the week and weekend where your notifications will be silenced. If you don’t want your phone bleeping at you at three o’clock in the morning, this is how you stop it. These ten best Gravitybox tweaks have only touched the surface of what Gravitybox can do. The app is absolutely crammed with options and settings to play with, and it is safe to do as well. Spend some time experimenting with the options. They won’t break anything, and all of them can be undone just as easily as you set them going in the first place.